Clarke & Associates welcomes Ian Green to the practice as Technical Director. Clarke & Associates congratulates Maxwell Jones on his promotion to Associate. As part of Tarmac's new Sand and Gravel Plant at Colchester Quarry, Clarke & Associates Limited liased with Moisture Reduction System to install their patented pumping solution, as detailed in the March 2007 edition of Quarry Management magazine. 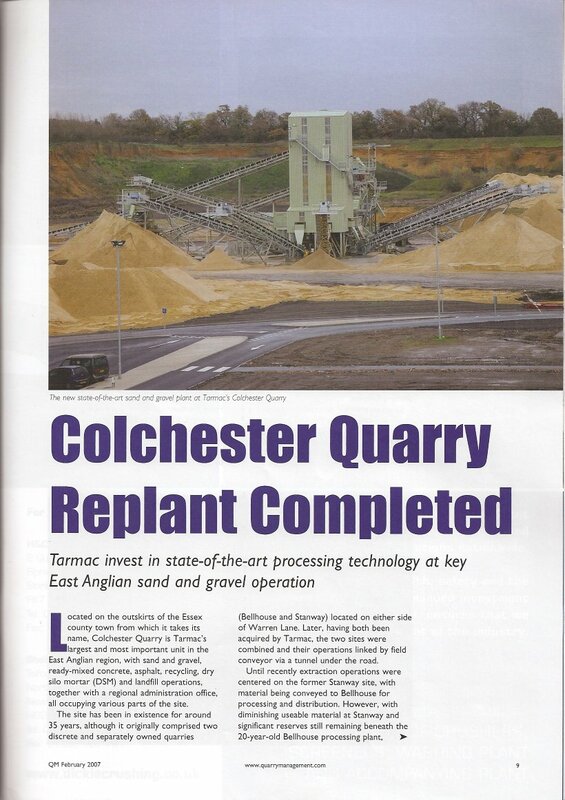 Tarmac's new Sand and Gravel Plant at Colchester Quarry appeared in an article of the February 2007 edition of Quarry Management magazine. Clarke & Associates Limited designed the civils and water management for the plant. Website has been updated to new format, menu structure, etc. webmaster test! Wainwrights' new Asphalt plant at Moons Hill Quarry, appeared in the January 2007 edition of Quarry Management magazine, for which Clarke & Associates Limited designed the civils work. 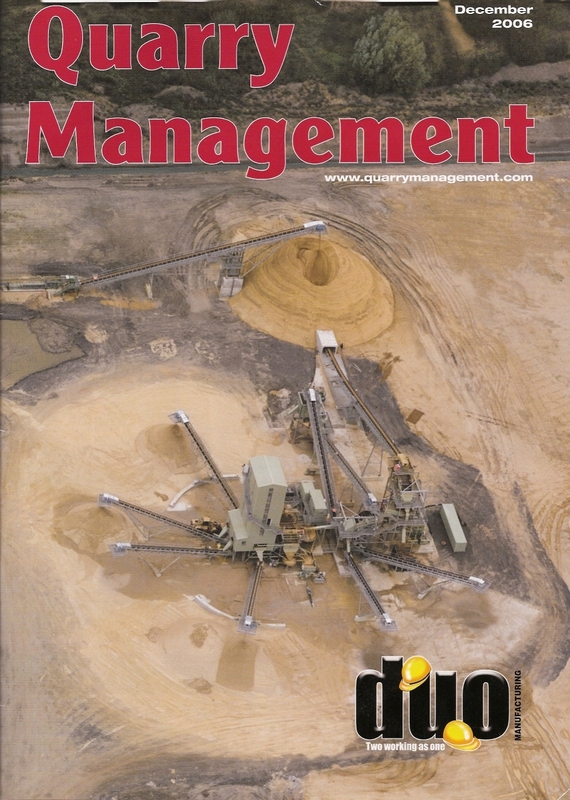 Tarmac's new Sand and Gravel Plant at Colchester Quarry appeared on the front cover of the December 2006 edition of Quarry Management magazine, as an advert for Duo Plant. Clarke & Associates Limited designed the civils and water management for the plant.